1. ME2Re is the creative work and property of Giftfish. I retain all legal ownership and rights related to title, copyright, intellectual property, and distribution of this mod and its contents. 2. This agreement grants you a license to use ME2Re; it is not a transfer of ownership. B. You may not distribute, re-use, convert, translate, update, or modify, ME2Re or any of its contents without my express permission. 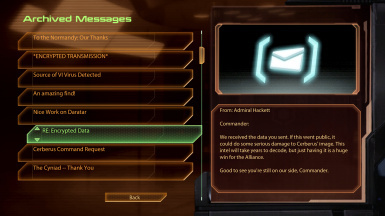 C. You may not release any patches for ME2Re, including intermod compatibility patches, without my express permission. This includes but is not limited to: direct use of files or assets (theft) and/or recreation of file edits (plagiarism) in a way that replicates the mod's experience in game. 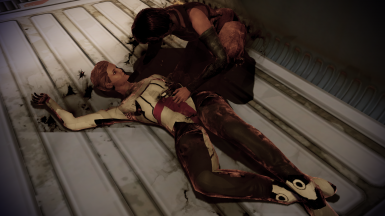 The only way intermod compatibility with ME2Re may be achieved without my express permission is via omission of the conflicting files in the incompatible mod. D. You may not use various programming or modding methods to hook into and alter ME2Re's in-game experience without my express permission. 4. ME2Re is for noncommercial use only and is provided free of charge. You may not use this mod or its contents as part of any activity in which you derive revenue, monetary compensation, or donations. 5. 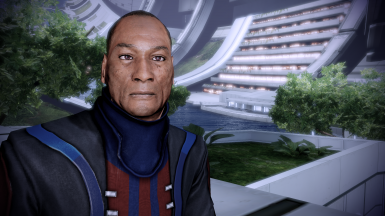 You use ME2Re at your own risk; I am not responsible for any damage to your game or PC by use of this mod. Technical support may be provided but is never guaranteed. 6. ME2Re is hosted only on Nexusmods.com. Pirated copies obtained via private link or any other site are suspect and could contain malware or unauthorized modifications that will interfere with normal functionality of the mod. These copies are considered void and will not be supported. Users of unauthorized/pirated content may be banned from any present and future mods I create. 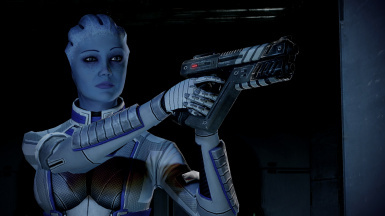 Changes contained in the initial release of ME2Recalibrated are extensive; see the Release Notes for details. 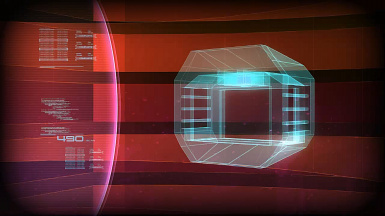 16 Apr 2019 - ME2Recalibrated v1.1 released! Full version. 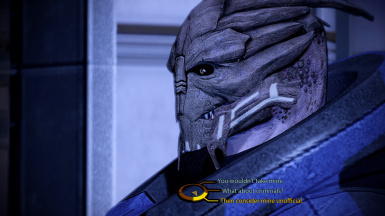 ME2Recalibrated (ME2Re) is an overhaul for Mass Effect 2 that fixes bugs and broken lore, rectifies poorly implemented content, restores cut material, and in a few small cases, adds new content to the game. 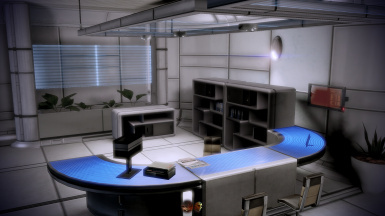 To be clear, ALL content has been fully modded into ME2. 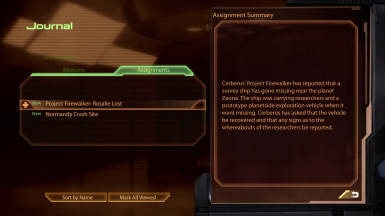 There are no Gibbed hacks here, no discrepancies in quest status between the journal, galaxy map, etc. Vanilla, just better. 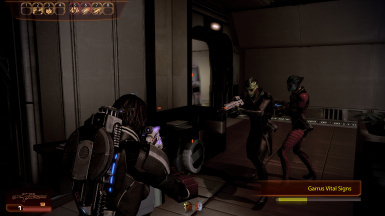 The initial v1.0 release of ME2Re is large. A complete list of changes is located in the Release Notes and I encourage all new users to read this document. Doing so will prevent misunderstandings about what the mod does and doesn’t do, and in certain cases briefly explains specific development decisions. Side Missions — Bugfixes and improvements for Packages for Ish, False Positives/Found Forged IDs, and Conrad Verner (v1.1+). 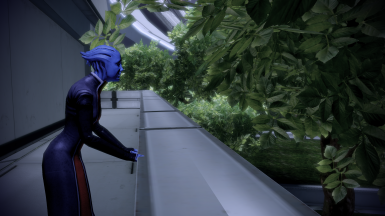 Dialogue — Bugfixes and improvements for Jacob, Grunt, Chakwas, Liara, Tuchanka Overcaptain, and the Sophist advert on the Citadel. 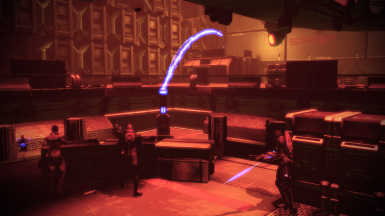 Restored cut content for the volus ship salesman and the C-Sec Security checkpoint on the Citadel. 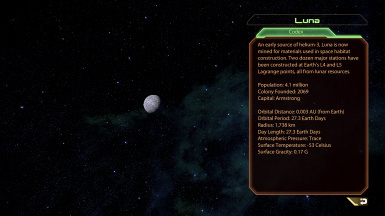 Bug/Lore Fixes — For a variety of non-mission content. 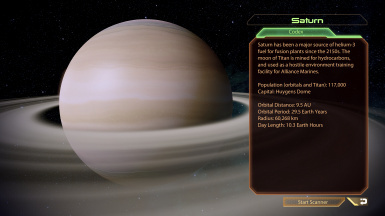 This includes emails, galaxy map content, codices (fixes and restorations), level edits, subtitle owners, assorted TLK references, Shadow Broker dossiers, SB model ship award, and Anderson. 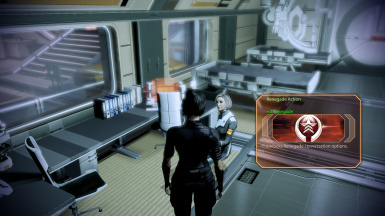 Anderson has many issues in ME2. 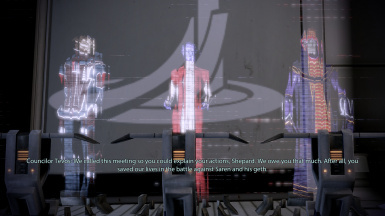 Saviour — Shepard's LI will now help them onto the Normandy at the final jump during the Suicide Mission. 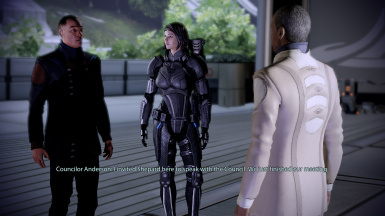 This will occur under two conditions: the LI is in Shepard's squad and survived the reaper fight OR the LI is already on the Normandy and Shepard's entire squad died at the Reaper fight. 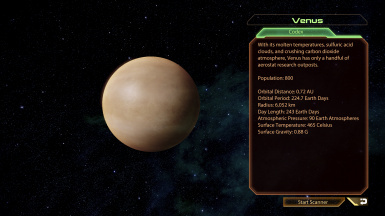 In any other situation the game will follow vanilla behavior. 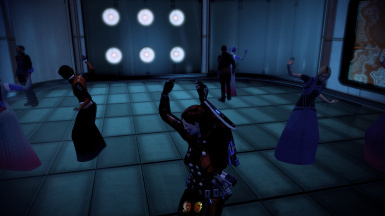 FemShep Can Dance — FemShep now dances in Afterlife and Eternity more similar to ME1; BroShep continues to do the “Shepard Shuffle”. 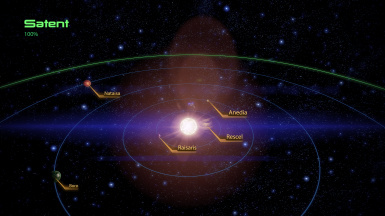 Luna Returns — Luna is again on the galaxy map. 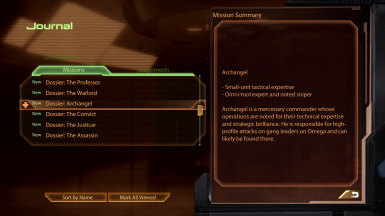 Description ported from ME1 with additions as needed to match ME2 conventions. 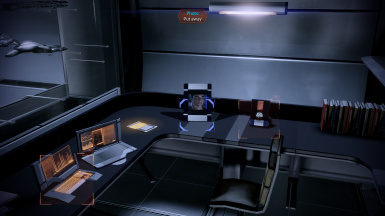 A Real Breakup — The cabin photo of the ME1 LI can now be permanently removed, as long as you haven’t locked in a new romance. 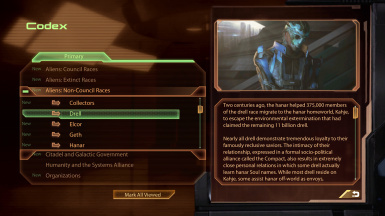 If not removed, then it will use the vanilla convention upon locking in an ME2 romance. 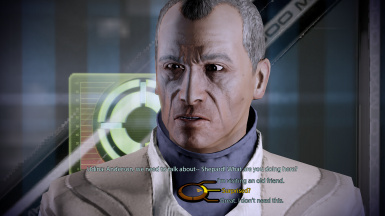 Intimidate Zaeed — Zaeed’s loyalty can now be earned via a new dialogue path and intimidate check when saving the refinery workers. 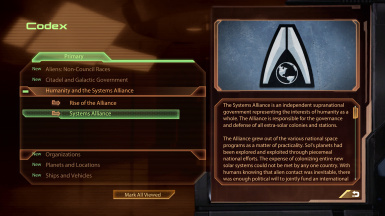 Renegons and paragades, rejoice! 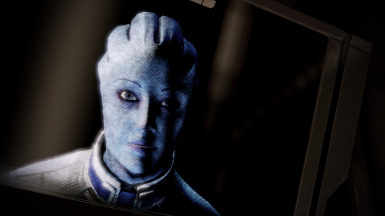 Consistent Liara — Liara’s facial appearance will no longer change during ME2. LOTSB now uses the texture as the base game (and will be replaced by any texture that replaces the base game’s). All her face properties (like eye color) have been transferred to LOTSB content AND compatible GUI textures have been built in, as well. 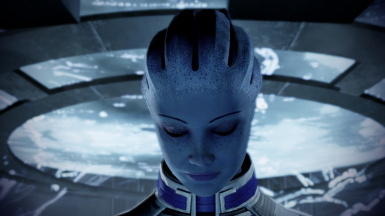 If you prefer Liara to have an appearance closer to ME3, then check out Giftfish’s Textures for ME2. 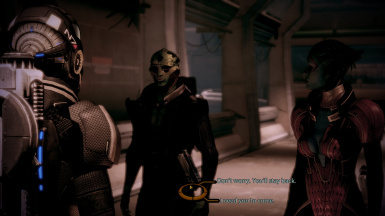 Amended Alternate Appearances — Optional sunglass/visor removals for Jack, Thane, and Grunt, when using their Alternate Appearance DLC. 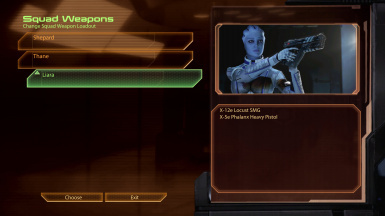 Includes squad select GUI textures. Miri is not and cannot be included; see information in the download. 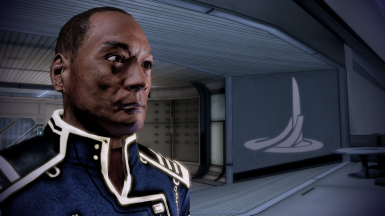 Anderson Overhaul (v1.1+) — A backport of Anderson's ME3 face and scalp textures combined with edits to his stuntactor to create an appearance as close to ME3 as possible (yes, he still has potato-face, which is a mesh issue). 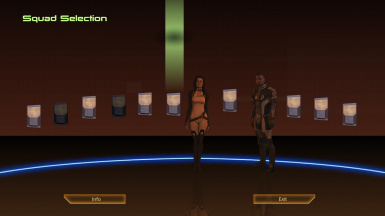 Matching codex images, including those for Udina which were a visual counterpart to Anderson's. GUI Textures (v1.1+) — Optional GUI textures included in v1.0 have now been built into the mod. 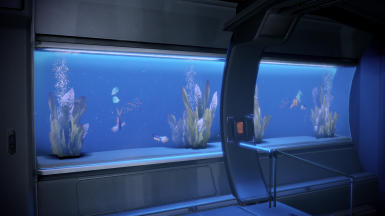 Aquarium Overhaul (v1.1+) — A minor overhaul with more to come in the future. 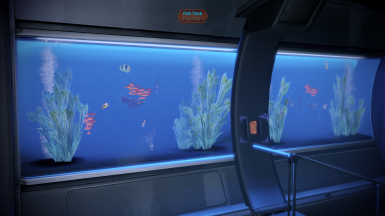 Bumped up the amount of seaweeds in the tank, relocated the bubbles, and adjusted all fish store names and descriptions. 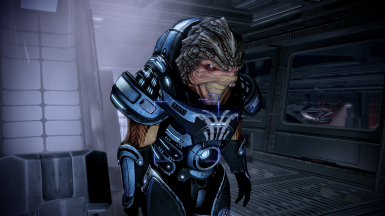 Strongly recommend using with my new textures in Giftfish’s Textures for ME2. 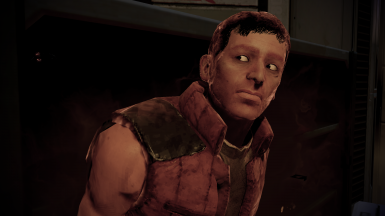 ME2Re requires a new playthrough. 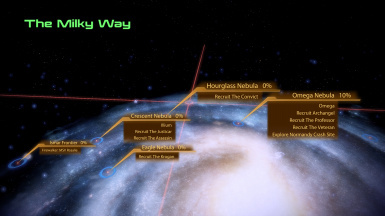 Import status isirrelevant, but the mod must be present when you first begin the prologue. This is non-negotiable. It needs to set new plot data to work properly and these plots will not be set on an existing PT without ME2Re installed. 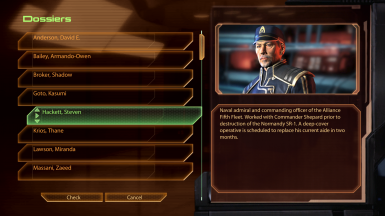 ME2Re must be installed for the entire playthrough. 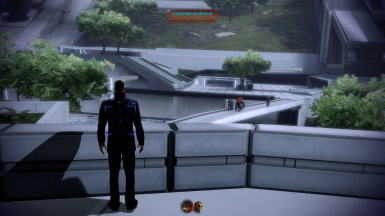 You may temporarily disable the mod, as long as you do not build its absence into your saves. This is non-negotiable, for the same reason as just outlined above. 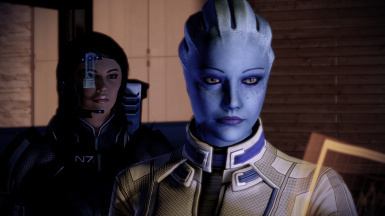 ME2Re is made for English localizations, only. It *will not* work for other localizations. If you attempt to use it anyway, I will not answer questions, nor provide technical support. More information about localizations can be found here﻿. 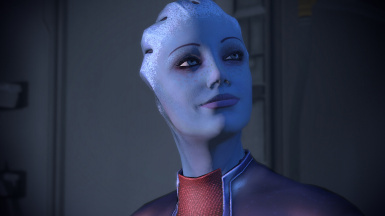 ME2Re requires use of Erik JS's DLL Patcher for ME2 DLC﻿. This must be downloaded and installed, separately. Users should follow the author’s instructions; I cannot provide assistance. 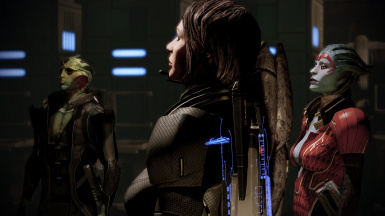 Like ME3Recalibrated, ME2Recalibrated is, for the most part, a DLC mod. 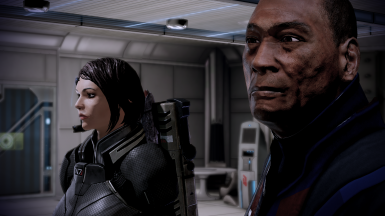 Due to certain differences between ME2 andME3, it is not a full DLC mod. This means you must install it carefully. I’ll continue to investigate this in the future and attempt to complete the implementation. See the Install Guide for further instructions. Both the guide and the Release Notes can be downloaded here and are available on Google Docs. 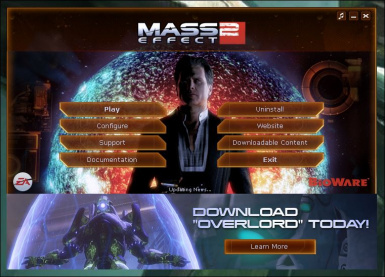 To uninstall ME2Re, just delete the entire DLC_MOD_ME2Re folder from your ME2 DLC directory. If you have the optional launcher installed, overwrite the modded files with your vanilla backups. 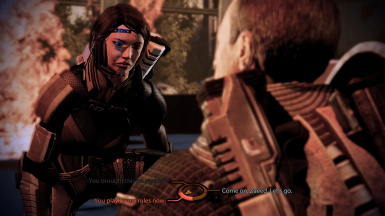 As stated above, do not uninstall ME2Re mid-playthrough. 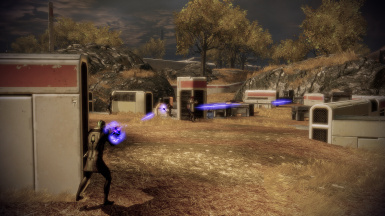 ME2Recalibrated is compatible with all mods released by myself, and any other mod that doesn't change the same game assets. 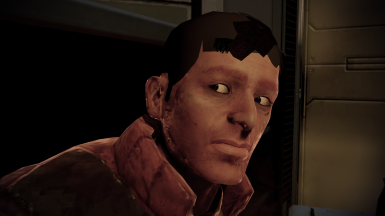 Users should compare files across their DLC mods to check for themselves. 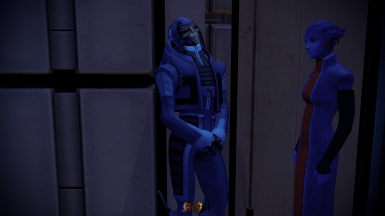 Other DLC mods can override ME2Re if they have higher "mount priority". For more information on compatibility, see this Nexus article﻿ and this page of the ThaneMOD website. 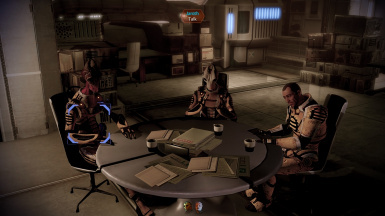 ME2Re is explicitly incompatible with three existing mods for ME2 at the time of release: Just Talking For a Bit and Illium Landing Movie Mod by Deager, and MrFob’s Arrival Triggering Mod. 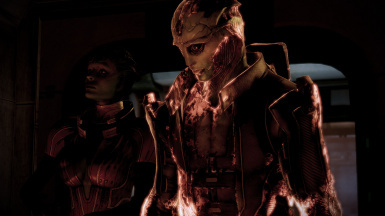 All are redundant with content in ME2Re and should be removed prior to commencing your playthrough. 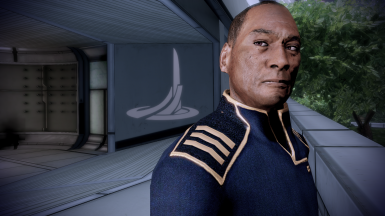 Other mods MAY also be incompatible. 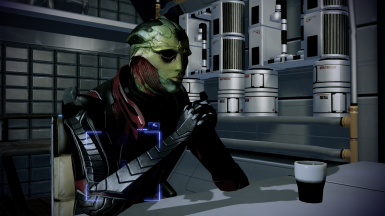 Translations of ME2Re, when available, are created by other modders, downloaded separately, and are used on top of ME2Re's main files. If a translation exists for your game's localization, it will be linked at the top of this page. If it does not exist, you cannot use the mod. Modders interested in creating patches or translations for my mods should refer to this page on the ThaneMOD website. 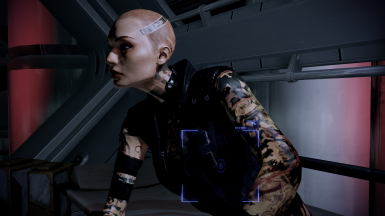 ME2Recalibrated has undergone a large amount of testing, and no bugs are known at this time. If you run into any problems, first read the sticky posts, then use the information provided here before reporting. 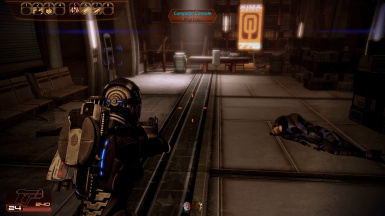 Mass Effect 2 has a significant number of bugs. 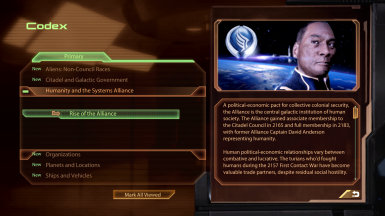 The initial release of ME2Re represents everything I could address in about 3 months of development. I do plan on more releases in the future, but they'll be on deck as I continue to work on (and finish) ThaneMOD v3.0. ME2Recalibrated is brought to you by Giftfish. 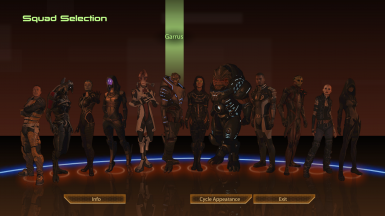 This mod is not affiliated with or endorsed by BioWare Corp. or Electronic Arts, Inc.